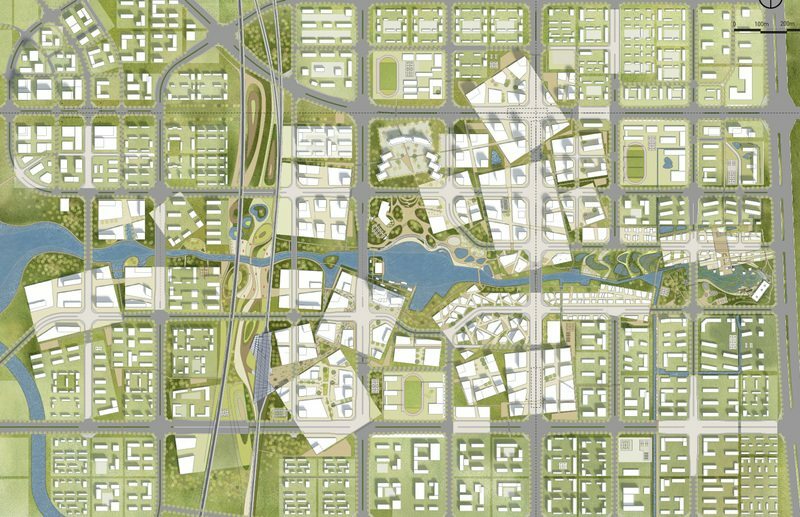 River Beat begins from an intense, six-day international workshop in Zhengzhou, China, where students from the University of Michigan collaborated with Beijing urban design firm, SPD, and selected participants of Beijing University Civil Engineering and Architecture (BUCEA) to design a new development from tabula rasa. 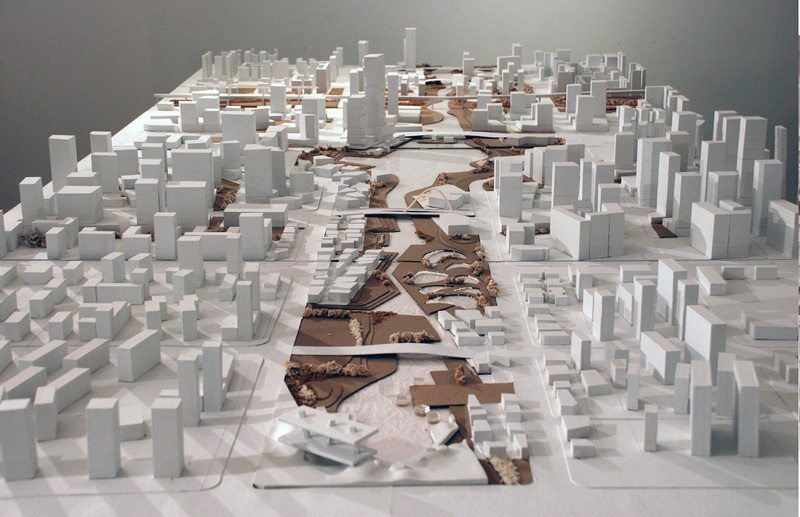 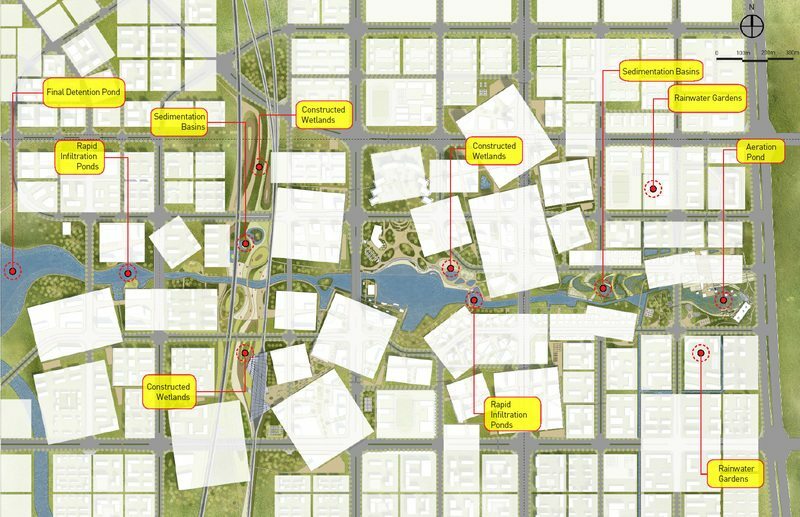 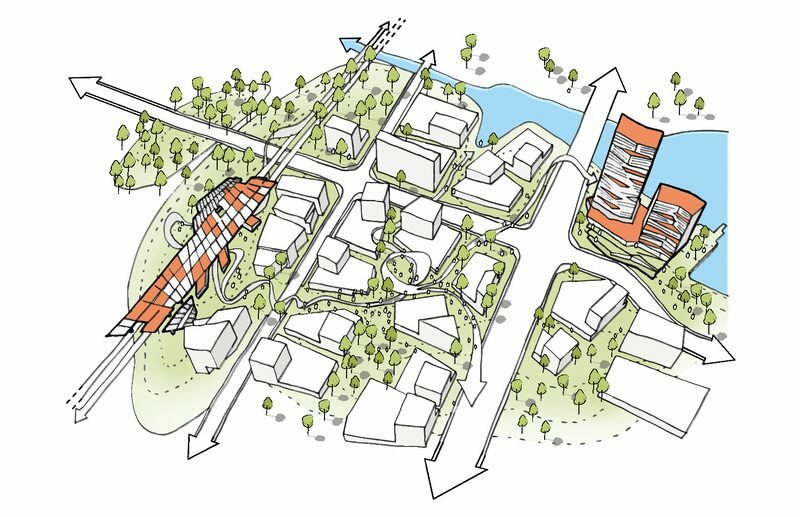 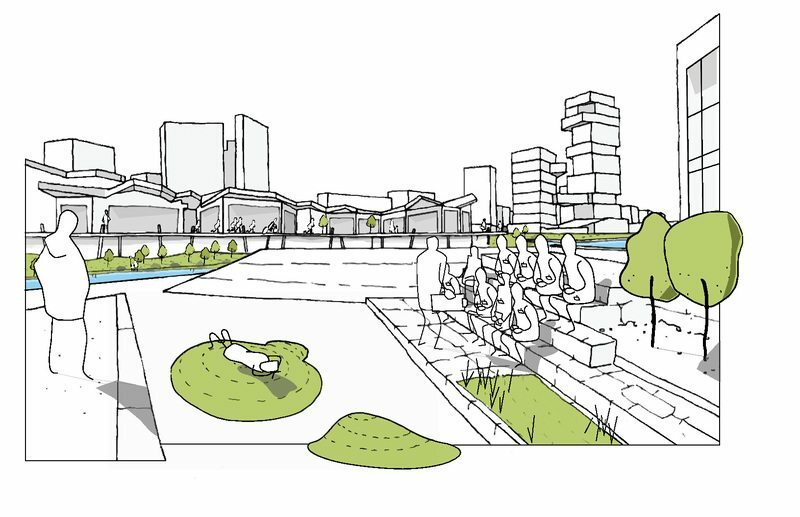 The proposal envisions a pedestrian-oriented urban fabric that integrates different programmatic elements to the central recreational district by the waterfront. 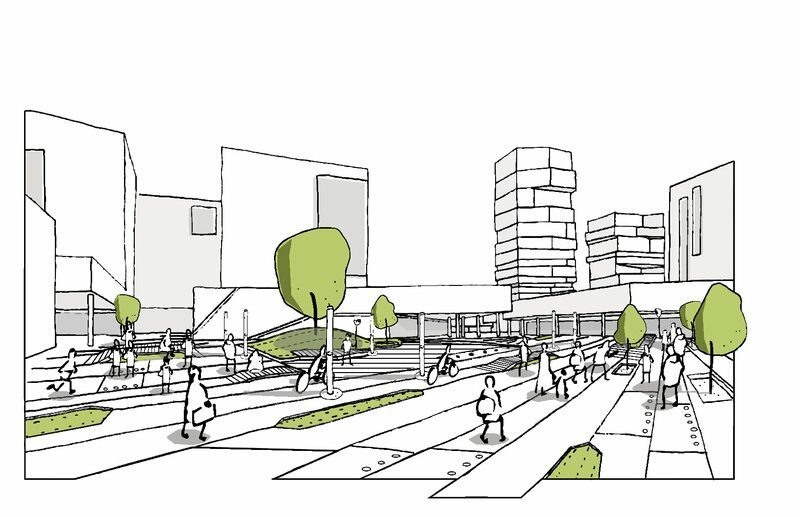 Efficient reorganization of green buffer zones allows for dynamic public spaces to permeate through the grid, providing intimately-scaled and walkable blocks that promote a healthy and densely vibrant lifestyle. 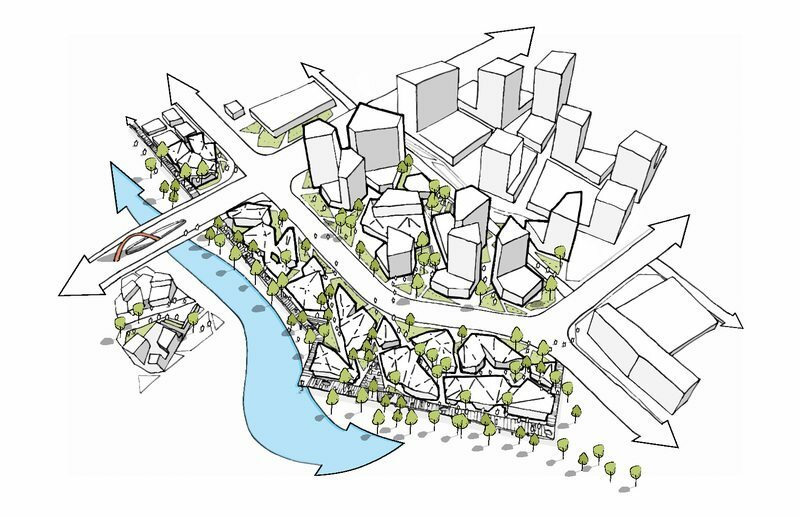 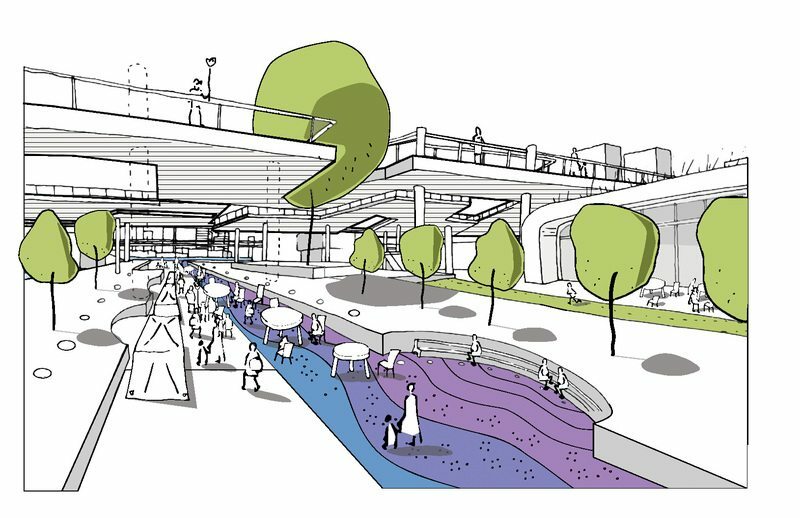 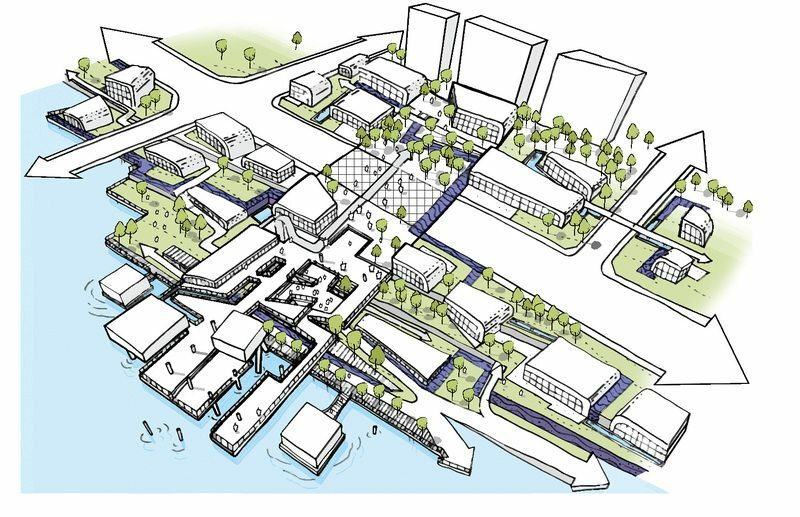 purification, flood control, and shoreline stability – all of which are important factors to consider in designing our waterfront district. 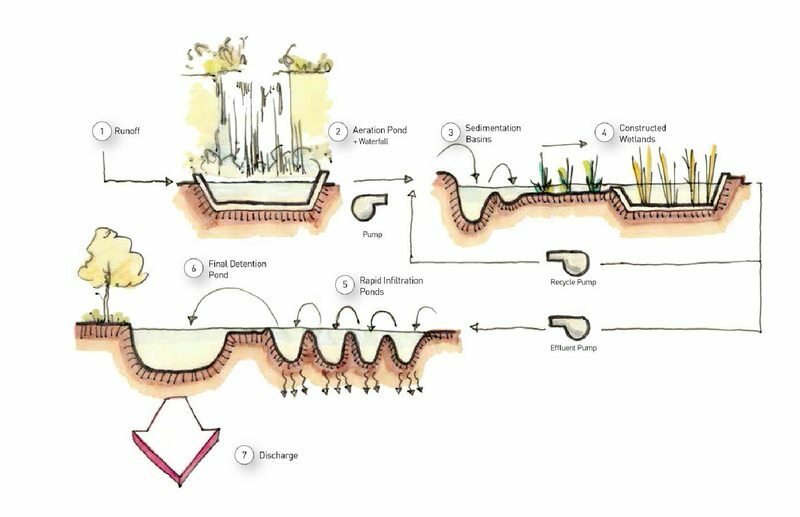 The process of water treatment thus becomes the main concept behind our landscape design. 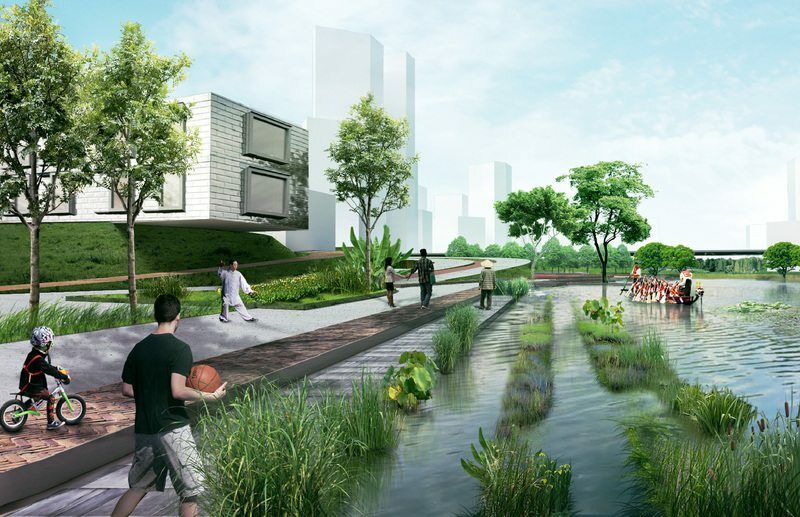 River Beat’s landscape responds to changes in water level while maintaining their functions and aesthetics. 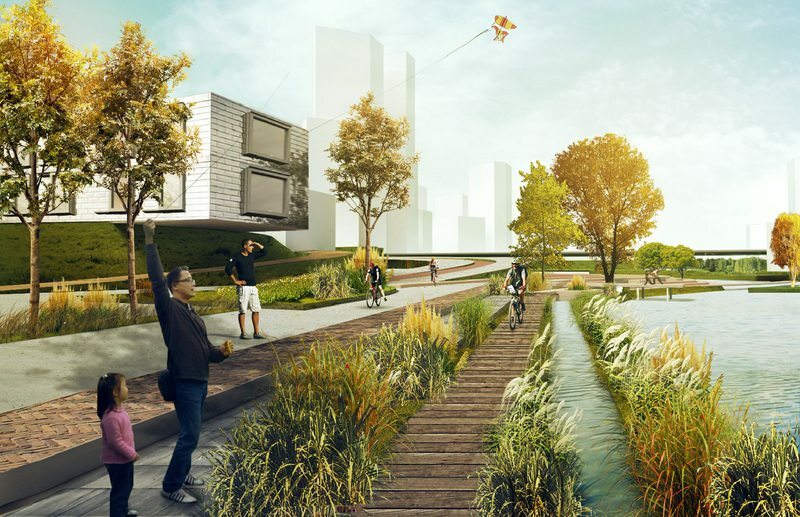 In particular, the water surface and bottom of the river bed are designed to anticipate water fluctuations, as they create an ever-changing experience.